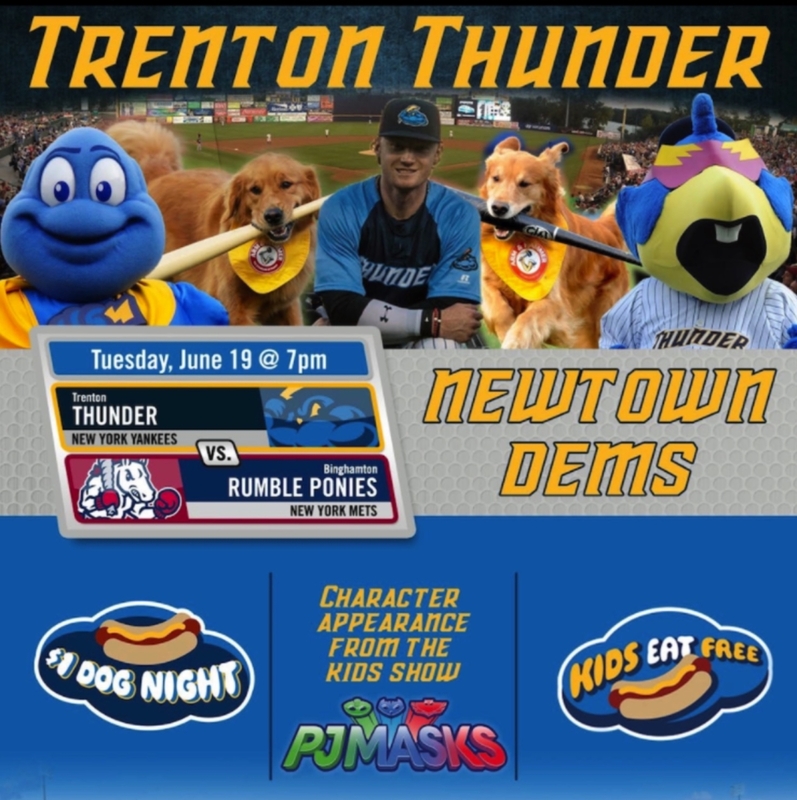 Welcome to the June 2, 2018, issue of "Newtown News Update." The opinions expressed here are solely the those of John Mack and do not reflect the opinions of any other person or entity. If you are not a subscriber, please subscribe here. If you are a subscriber and do not wish to receive further updates, please use the "Unsubscribe" link at the bottom of this email. As I reported on my Blog (here), a "sketch plan" for a Wawa Super Store at the southwestern corner of Newtown Bypass and Lower Silver Lake Road was presented at the May 14, 2018, Work Session meeting of the Newtown Board of Supervisors (BOS). No official decisions were made at that meeting. 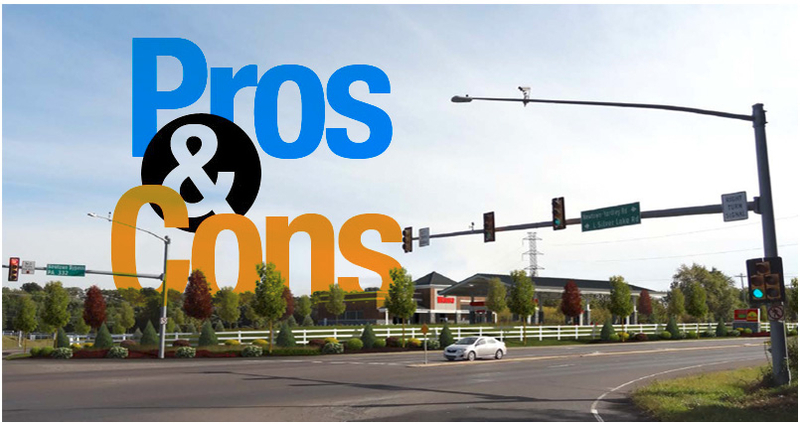 Nevertheless, the Supervisors agreed to the suggestion by the developer’s attorney that he submit a proposed amendment to the zoning ordinance that would allow this use (read the following article for more on that). 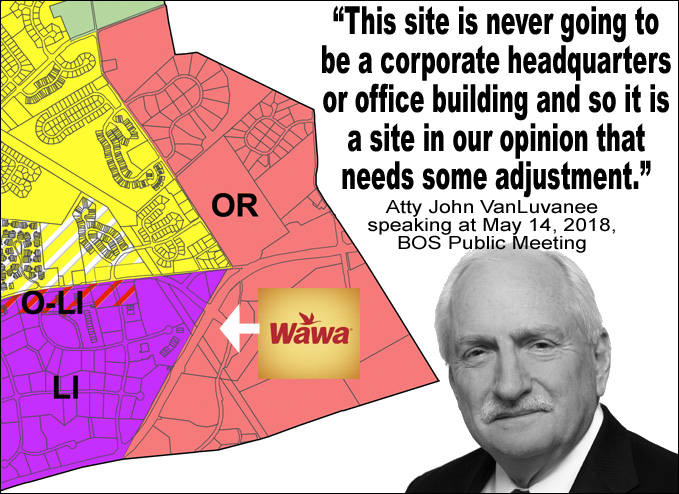 Currently the OR (Office Research) zone in which the proposed Wawa site is located does not allow retail stores or the selling of gasoline. On May 17, 2018, I decided to post a personal, unofficial survey on the Newtown Patch website. It soon went viral! As of May 31, 2018, 1,011 people responded to the survey and submitted over 275 comments. The survey also generated at least 6 discussion threads and 125 comments on Nextdoor.com (Roberts Ridge Park Section). I want to emphasize that this is not an official Newtown Township survey and I hosted it solely to inform me of the public’s opinion regarding this proposed project. In my opinion, decisions by the BOS should not be based on numbers from this or any other survey or social media site. The Board, however, should consider all points of view and review public comments from all sources to make the best decision for the community as a whole. That being said, in this article, I present some numbers from the survey. First, who responded to the survey? About 60% of respondents said they were residents of Newtown Township and 10% said they lived in Newtown Borough. An additional 11% said they were from Upper or Lower Makefield Townships. 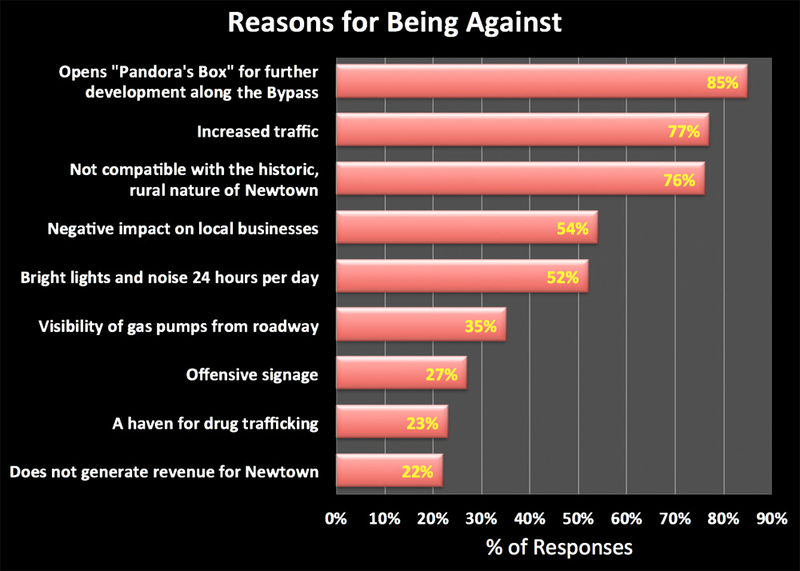 Respondents could choose more than one reason to oppose WaWa plus mention other reasons in comments. 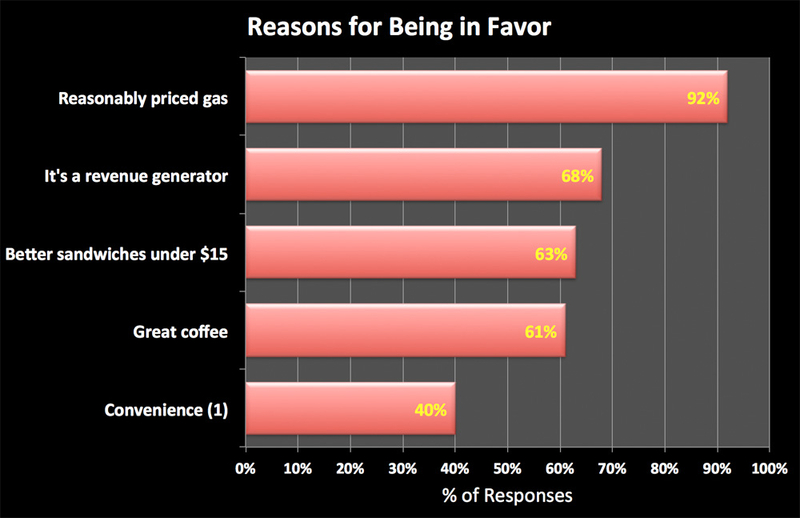 "Reasonably priced gas" was the top reason for being in FAVOR of this proposed project, according to survey respondents (see chart below). Note (1): In the following chart, I included "Convenience" because 40% of the favorable comments mentioned this as a reason although it was not included in the survey's list of choices. Respondents could choose more than one reason to favor WaWa plus mention other reasons in comments. Keep in mind that surveys do not offer any means to debate the validity of choices and comments. 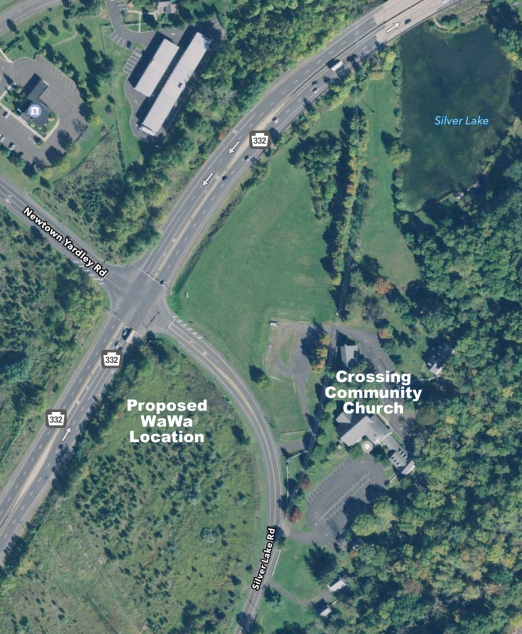 For example, there may be counter arguments against the belief that allowing Wawa at this site would open a "Pandora's Box" for further development along the Bypass or the opinion that WaWa offers "better" sandwiches for under $15. All tickets must be ordered and paid for by June 8th. Get the order form here. Land use attorney John VanLuvanee, speaking at a Work Session meeting of the Newtown Board of Supervisors (BOS) on Monday, May 14, 2018, made a case for amending a township ordinance in order to allow a Wawa Super Store (convenience store + gas station) to be located at the southwestern corner of Newtown Bypass and Lower Silver Lake Road. One major stumbling block is the fact that the site is within the Office Research (OR) zoning district, which does not allow retail stores or the selling of gasoline. Article III, paragraph 300, of the Newtown Area Zoning Jointure (JMZO), an OR zone is specifically intended to "provide for special office and research, industrially related uses on large tracts of land, which will provide a major employment center for the Region while enhancing its open space characteristics and natural features." According to a memorandum prepared by CKS Engineers, the plan requires at least 10 "variances" to allow the proposed use under the current zoning ordinance. "This site is never going to be a corporate headquarters or office building," claimed land use and zoning law attorney John VanLuvanee in remarks to the BOS. Therefore, Mr. VanLuvanee proposed to amend the CO ordinance to allow as a special condition the use of the site for a Super WaWa type convenience store with fuel pumps. Supervisor Mack questioned Mr. VanLuvanee on this issue and asked what, if anything, would be the financial benefit to Newtown. Listen to an edited audio excerpt from that discussion.